In 2018 there still seems to be a lack of physically- and mentally- disabled characters in soaps. You could argue that when people that have mental illness are included in soaps, it is usually in a negative light, such as having psychopaths as characters. I believe that soaps could do better. Soaps need to do better in representing people that have different needs because I think exposure is important, to show the public that we are just like everybody else. There is no better way to do this than to appear in people's living rooms daily. Also, some older people could benefit from exposure to people with disabilities as they grew up when mainstreaming children was not common, so have not encountered as many in their lives. 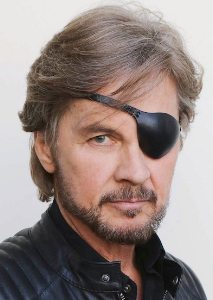 It is true that soaps have had characters with disabilities such as "Patch" from "Days Of Our Lives" with one working eye, but before he was fully blind in the last year, this affected him very little. Also, the same character is an example of the typical miracle cure as he's getting a bionic eye that will cure his blindness if the operation is successful. Maggie was also in a wheelchair for a few weeks, then was suddenly cured, and you could argue that Will's temporary amnesia is a mental health condition. The character of Theo also had Autism, but it only came up when it was convenient to the plot in recent years. Decades ago, Stefano had a son, Benji, who was deaf, but he was more of a plot device than a real character. I guess that the one advantage of having temporarily differently-abled characters is that viewers get a glimpse of what it is like to be in their situation. Disabilities come in many forms, so it would be impossible to cover all disabilities simultaneously. I frequently view soaps from US, UK Australia and New Zealand, and it is my belief that only the United Kingdom has good disability representation. The others have few characters with different needs. UK soap "Hollyoaks" has a character in a wheelchair. "Coronation Street" also has one in a wheelchair, that had a baby with another character. Additionally, "Coronation Street" has a character with Down's Syndrome who is fairly young. The Australian soap "Neighbours" has a character with MS, and a person that couldn't hear for a while, until she was miraculously cured. Neighbours also had a character that was in a wheelchair recently, but he was faking it. "The Young & The Restless" also has Nikki, a character with MS, and they also had a deaf character, Devon (but he was cured with a cochlear implant, and it's rarely mentioned any more). Years ago, they also had an actress/character who walked with a brace and cane, Carol, Paul's secretary (Christopher Templeton). Sharon's mother, Doris (Karen Hensel) was in a wheelchair after an accident (she hasn't been seen in years). "Port Charles" had an authentic character, Mitch (Matt Harmon), who was differently-abled, as was Carol mentioned above on Y&R. This basically means that the actor had a disability. This is generally preferred by disability advocates, and I wish that they could have continued with this throughout the years on the soaps. It would be good to include people with disabilities consistently in a program. Authentic actors would be preferred; however, there may be cases where no differently-abled actors are available. There are people in the disability community that regard a person playing a person that is differently-abled similar to black face, but this might not be a helpful opinion. Shows should at least try to get authentic actors; I view inclusion as the top priority. I think that a good model would be to have one differently-abled character on each show that's authentic, and if the producers feel the need to make others differently-abled on a temporary basis, then they should have the freedom to do so. This would give excellent visibility to people that have disabilities and would provide some with jobs. "Shortland Street", a soap in New Zealand, rotates different types of LGBTQ characters around; you could do the same with characters differently-abled. Producers may be afraid that they would get things wrong in their portrayals of the disabled, but this shouldn't stop them. When Will was killed on "Days Of Our Lives," some fans claimed that it was anti-gay, but many called that position ridiculous. People are going to complain, regardless, and I think that the lack of inclusion is a much bigger problem. You cannot adapt, and try to get stories right for people with unique abilities, if you don't include them to begin with. It's time for people with disabilities to be included in soaps.